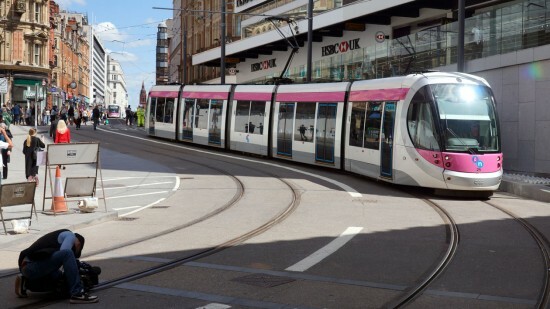 It has now been confirmed that the Midland Metro extension to Grand Central via Corporation Street will open on Monday 30th May once the seven day period of driver training is successfully completed. 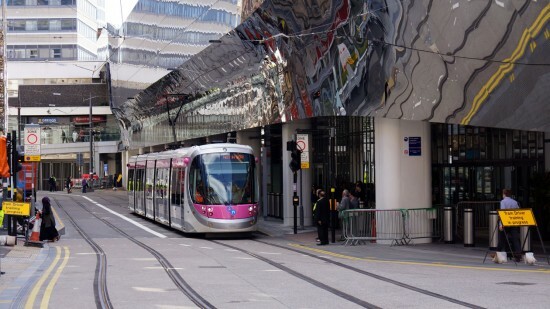 As you will no doubt be aware the short extension further into Birmingham City Centre was originally due to open at the end of 2015 but delays in construction led to a new dates of 22nd May being announced which was subsequently delayed further for further works to take place. 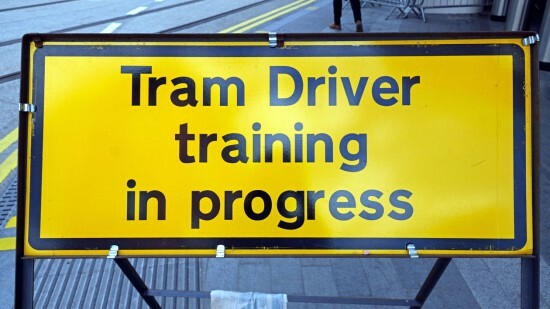 With these works having been completed over the weekend of 21st/22nd May driver training commenced fully on Monday 23rd May and with no further problems experienced it is now all systems go for the line to open to the public. Monday 30th May is of course a Bank Holiday which means the first day of services will see a Sunday timetable in operation between 0800 and 2300. 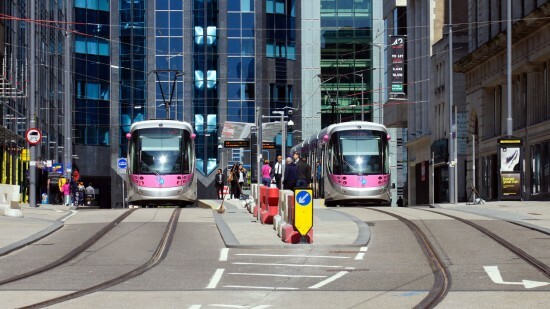 Trams will operate every 15 minutes. Bull Street with 19 and 35 either side of the island platform. 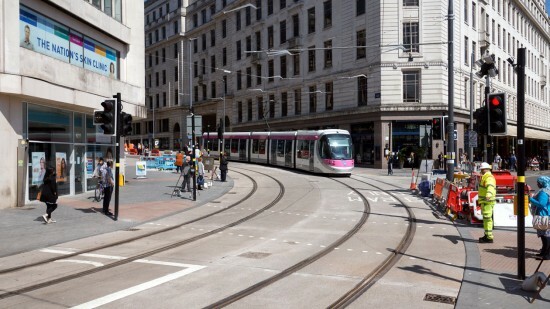 19 rounds the curve from Bull Street as it heads further into the city centre. One apparatchik at Bull Street overheard telling a driver that the trams ran to the time signal from Rugby – pity it closed in 2007! Typed notices on the Bull St stop advertising drivers and conductors vacancies both say go to http://www.mynxjob.co.uk and go to non-driver vacancies. Pity it doesn’t show any vacancies for either, there or under driving vacancies! Now one is called Ozzy Osborne, there should be a Tony Iommi one too, as he originated the heavy metal guitar style in Birmngham.